ShipBoxx is a hassle free shipping service provider on mobile platform. Simpalm was hired by the Phoenix,AZ based company to build this mobile app, web app and backend server system. The ShipBoxx app was built for iPhone platform and it is available on App Store. The iPhone App provides an easy way to ship your item from one place to another. The mobile app is designed to fulfil modern way of on demand shipping services and it will update you through real time notifications. ShipBoxx is currently functional in Phoenix, Tempe and Scottsdale area. Create account and login to start shipping. 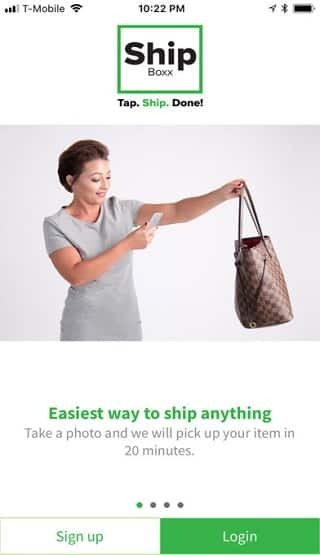 Open the device camera and take the photo of item you want to ship. Enter the required shipping address and submit details. Pickup in 20 minutes, executive will come and gently package your item. Add credit/debit card detail for payment. Compare the shipping rates with USPS, FedEx, DHL and UPS. Track the status of your shipping. View your list of couriers and job request. Client is in packaging and shipping industry, using paper, pen and phone to take orders, deliver updates and manage the business for client. The process was time consuming and not very efficient in many cases. Client wanted us to build a solution that can be used by ites customers and staff to place the order quicker, communicate efficiently, provide real time updates and receive payments. Simpalm proposed to build a mobile app, web app and cloud based backend system to solve the problem. Simpalm first understood client’s business and proposed a UI/UX for the mobile & web app that is intuitive and cover all the functional requirements. Once design was approved, Simpalm;s technical team developed the iPhone app, web app and cloud system to meet the requirements. We also integrate Stripe payment and real time notification services in the app to make to competitive. The app is also integrated with client’s current ordering system to make sure all the data is synched. This app is amazing and we had enjoyed working on it. 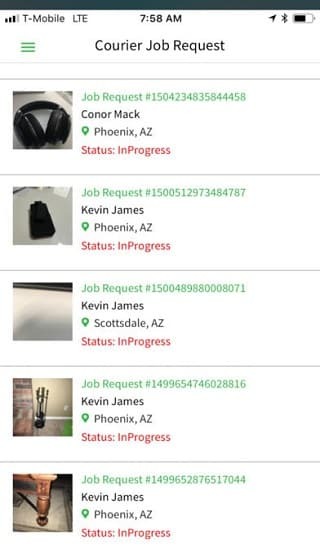 The ShipBoxx app is fully capable of processing job request, receive push notification and messaging capabilities. ShipBoxx has Job Request Function, Messaging Function, Notification and several other capabilities.